Optimized for the best possible gaming experience on just about any device that can connect to the internet, the mobile version of the Microgaming’s classic is bound to ensure premium entertainment on the move. 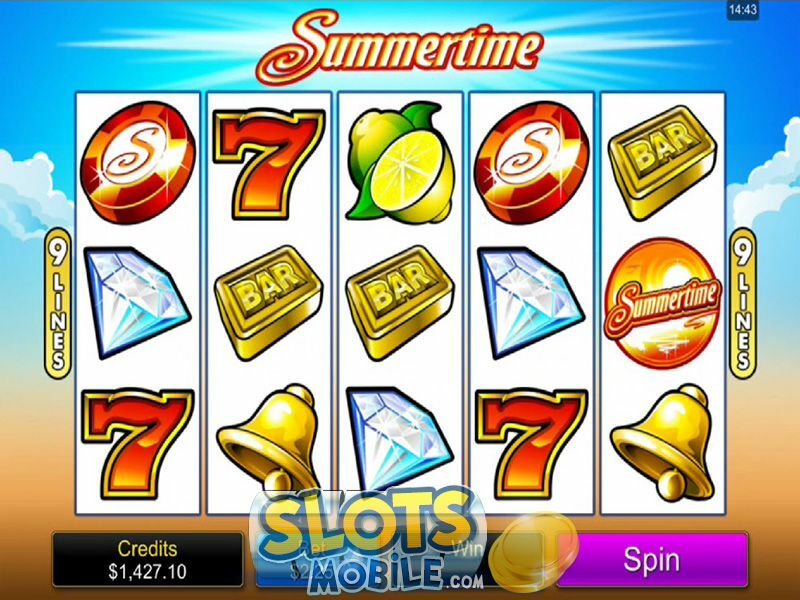 Rolled out in July 2014, some eight years after the original game, Summertime on mobile comes with five reels, nine paylines and three rows of symbols. Even if this is a contemporary video slot with plenty of special perks and benefits, game icons are almost the same as those found in old-style three-reel slot machines and include lucky sevens, bells, Bars, watermelons, oranges, lemons, plums, strawberries and cherries. Two Summertime symbols, a diamond and beach view complete the list. Said game icons are used to form winning combinations and award instant credit prizes, whilst there are three ways to improve your line payouts. 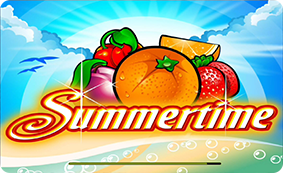 Summertime Wild completing a win will double any payout, Scatter Pays award a prize of up to 500x the total bet, whereas Free Spins round where all prizes are tripled is definitely the highlight here. 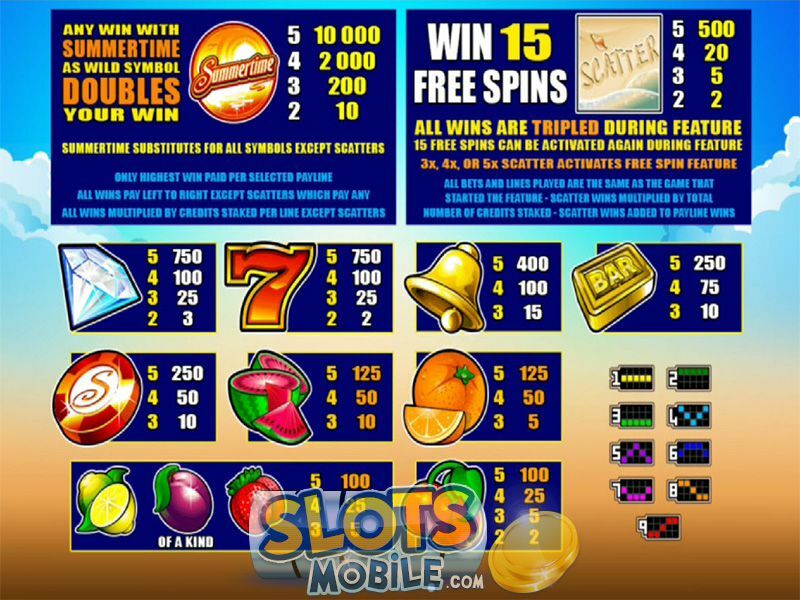 Once you have selected the slot from the mobile casino lobby, you will be taken straight to the main screen, but our advice is to then make a detour to the settings tab by swiping to the right. This is where you can choose your coin denomination from nine different values, ranging from $0.01 to $2, as well as wager between 1 and 5 coins per line. Activate the Quick Spin option if you want your bets to be settled quickly and disable game sounds should they prove not to your liking. Swipe to the left to return and repeat the process to visit the paytable. All payouts and special features are explained here, together with the payline structure and additional information. There may be no progressive jackpots linked to the Summertime slot, but base line payouts are nothing short of impressive when we take into account that you will be wagering between 9 and 45 coins per single spin. Obtain five Summertime Wild icons on any active payline while betting 5 coins per line and you will be awarded whopping 50,000 credits. 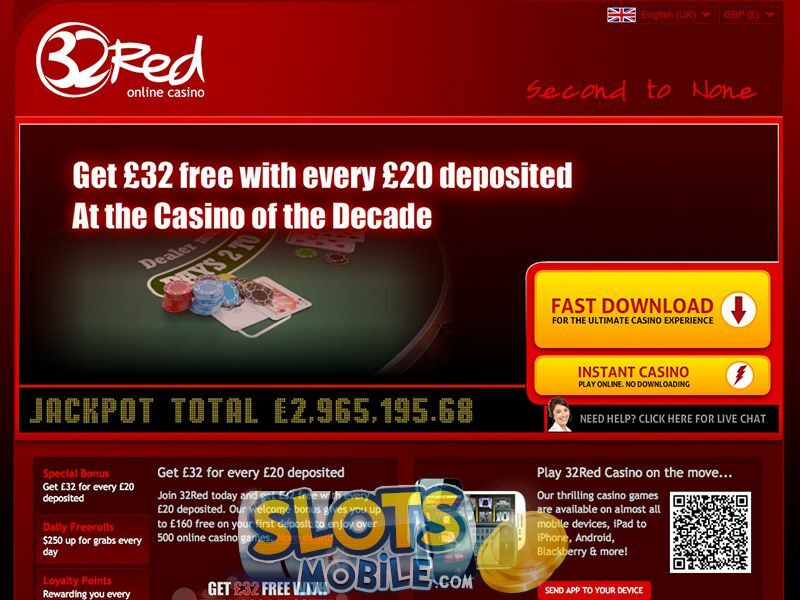 Three or more Scatter symbols appearing in any position trigger the Free Spins round, where players are awarded 15 free games regardless of the number of icons that triggered the feature. All Free Spins wins are multiplied by x3, whilst Scatter Pays will ensure players receive an instant credit prize of 2x, 5x, 20x and 500x total bet for two, three, four and five Scatters respectively. How to Choose Mobile Slots?